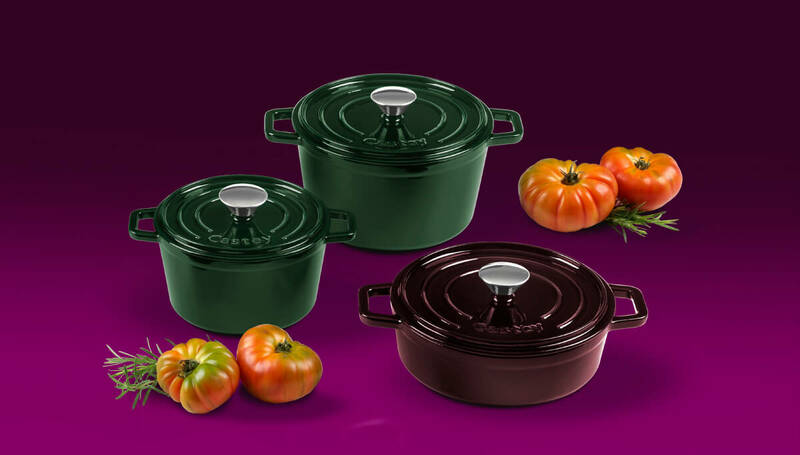 Castey enamel coated cast iron Casseroles are the perfect choice for all kind of cooking techniques: braising or stewing at low temperature, browning at high temperatures, caramelizing, roasting, searing and even baking. A variety of sizes and a high quality finish makes them the perfect choice to bring all kind of dishes directly to the table for serving or even to bake cakes without baking molds. Cast iron structure: consistent heat distribution even at low to medium temperatures with excellent heat retention properties. Thick and smooth solid base is suitable for all cooking surfaces including induction. Vibrant hi-gloss majolica enamel exterior finish. 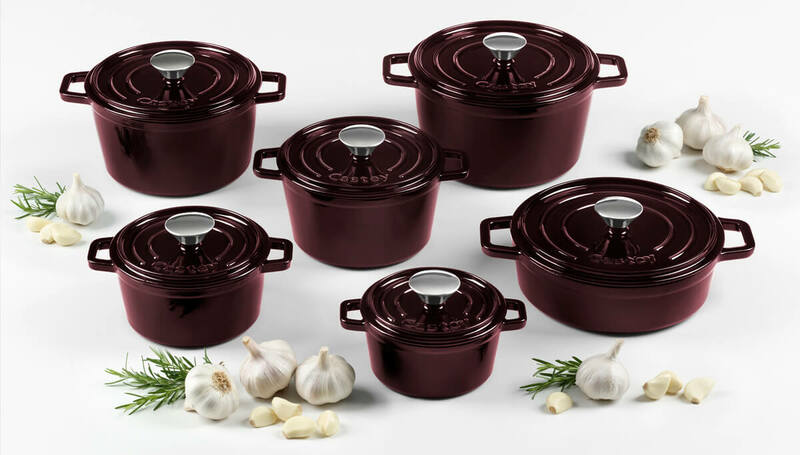 Durable and chip resistant inner enamel coating is perfect for all cooking techniques. 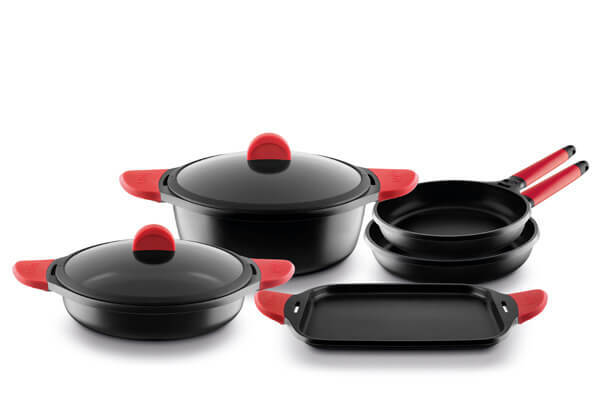 Continuous self-basting system of the lid retains moisture for better taste and results. Stainless steel knob with hidden fastener provides better hygiene and easier cleaning. Oven safe to 230°C / 450°F. 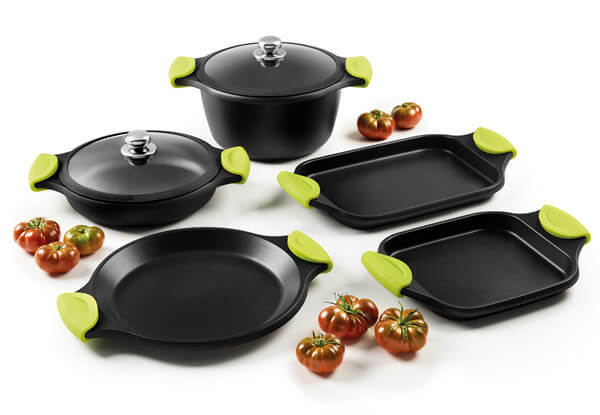 Enjoy cooking like a chef with Sabora by Castey Frying Pans collection. Super large oven safe riveted stainless steel long handles have been designed to stir fry easily and securely. Its vitro-gas special base achieves the best energy efficiency in vitroceramic and gas cooktops. Induction Collection features a new contemporary design together with our own patented permanent attached side silicone handles. It is also Full Induction, which ensures the best energy efficiency in all cooking surfaces. Titanium pots and pans high quality non-stick coating includes titanium particles to achieve superior durability and non-stick properties. It offers very competitive price and performance along with the quality guarantee of all Castey products. Unique design and latest technologies. 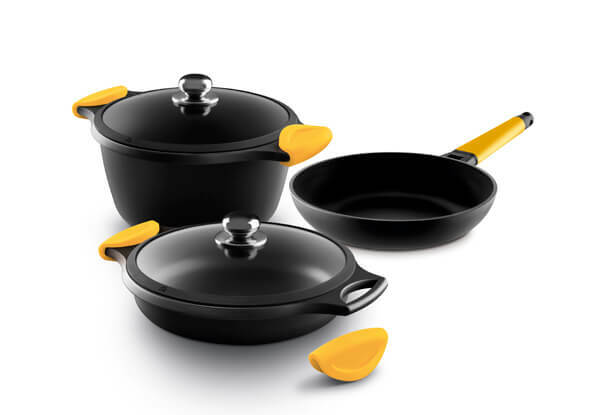 Classic Yellow has what everybody wants from a pan: it is functional, durable and comfortable and, of course, stylish. It is a classic, so it will last through times. 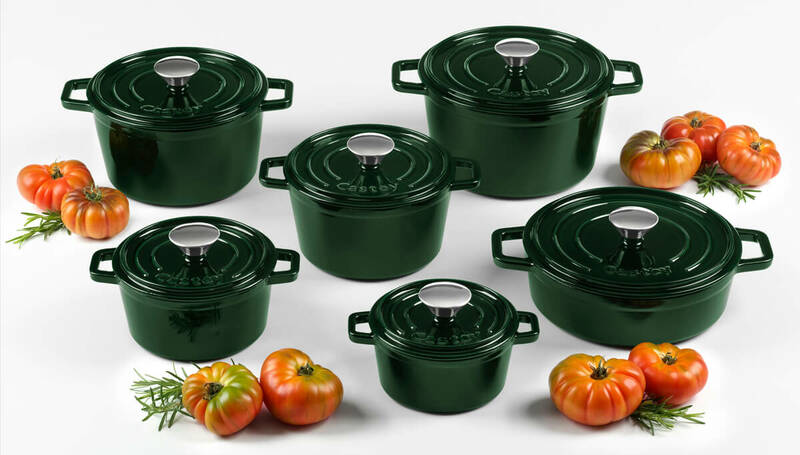 Fundix cast aluminium cookware offer design, with a modern and coloured style together with latest technologies. Whatever your favorite colour is you will find it in the wide selection of Fundix colour in catalogue. 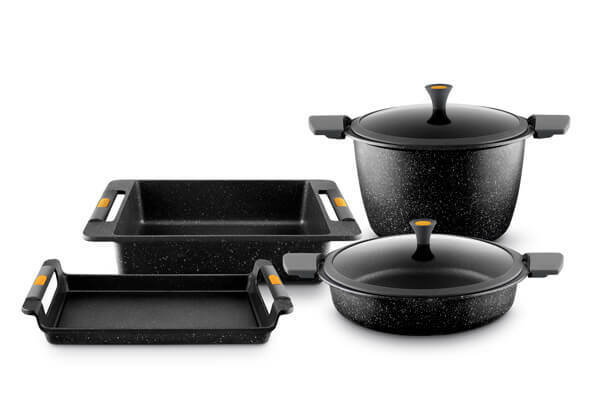 This collection includes products with a wide rectangular Full Induction base. It’s perfect for Flexinduction cooktops. 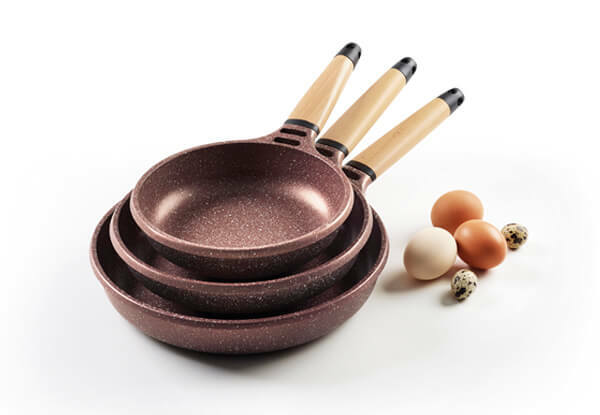 Its reinforced non-stick coating with relief is 3 times more resistant and las 2 times more. Permanent attached silicone side handles are soft and comfortable and prevent accidental burns. 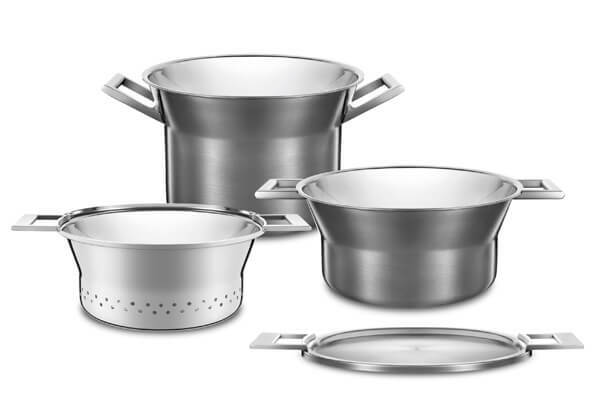 Baltic tri-ply stainless Steel collection comes with soft touch designed fix silicone handles designed to provide protection against accidental burns. Its Trimetal Induction® structure is the most material technology for stainless steel cookware. 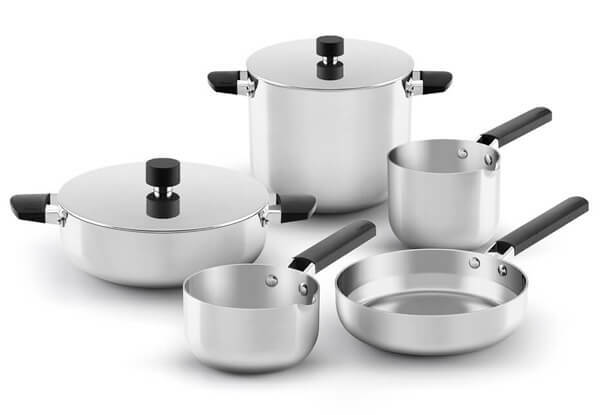 Artic stainless steel cookware stands out from the competition, not only for its functional and innovative state of the art design but also for its technical details, such as reversible lids and unique Multifunctional Cook Set with 6 different uses. 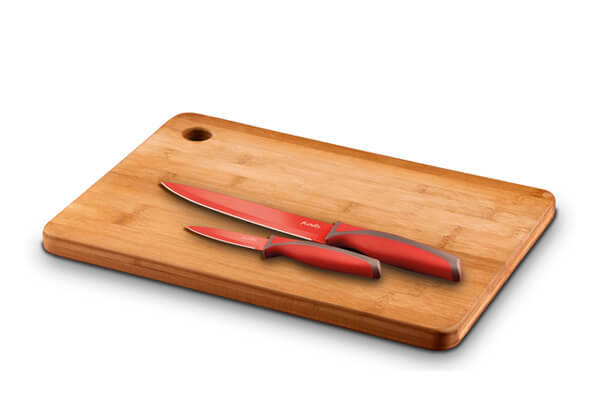 Non-stick coated high carbon stainless steel super sharp blades and trendy coloured handles make Fundix cutlery the perfect accessory for those who want to add an original touch to their kitchens and cook the best recipes faster. 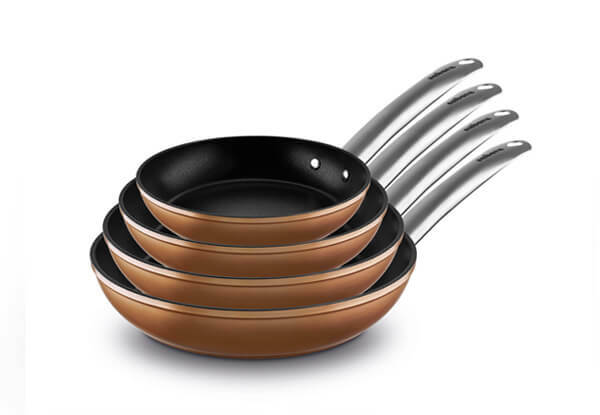 5 layers of non-stick coating provide more durability and resistance to these pans. 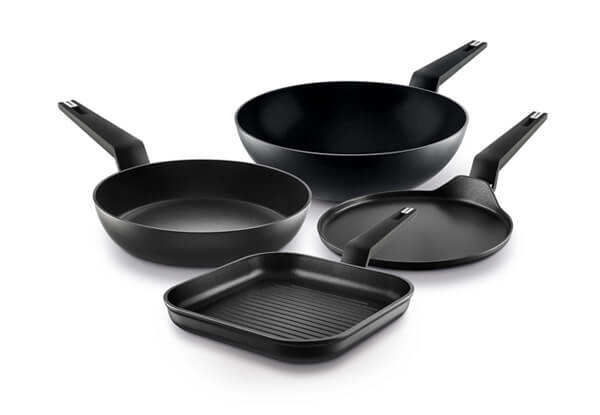 Relief give extra protection to the non-stick coating to keep release properties intact. Senso sparkles for its pure and apparent simplistic lines and for its innovative and modern appearance. 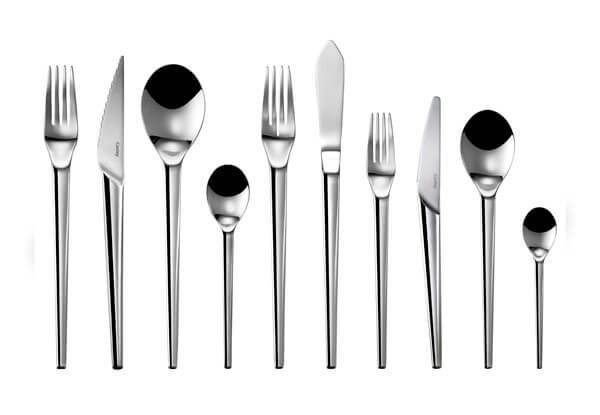 Senso flatware fits perfectly into the hand, providing maximum comfort and maneuverability and adding elegancy and beauty to the table.